Matrox Radient eV-CL cost-effective, high-performance, and dependable Camera Link® frame grabber. Support the most high-performance Camera Link cameras with available support for Full and 80-bit mode at up to 85 MHz. Perform deterministic image acquisition by way of the jitter-free Camera Link 2.0 interface. 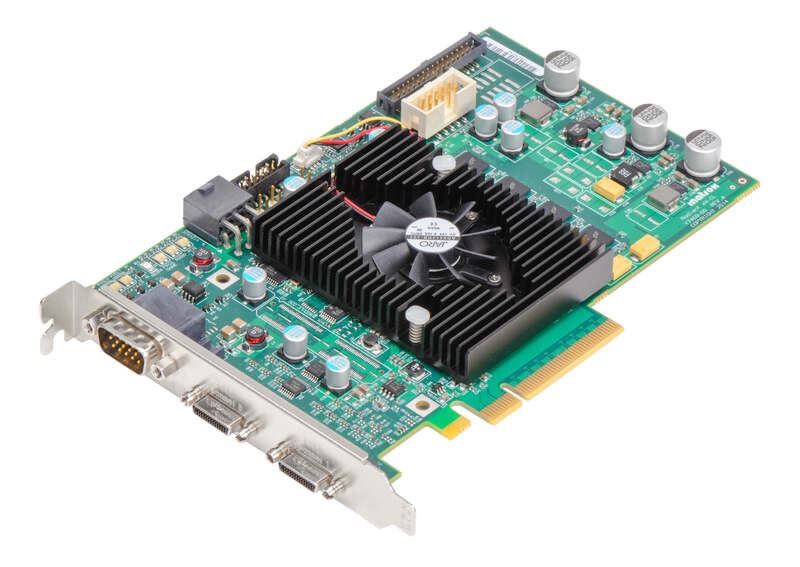 Eliminate missed frames through a PCIe® 2.0 x8 host interface and ample on-board buffering. Optimize multi-camera applications via support for up to four (4) Base or two (2) Full/80-bit Camera Link cameras per board. Minimize space requirements and maximize PC compatibility through a half-length design with mini Camera Link connectivity for true single slot operation. Improve and simplify system connectivity with Power over Camera Link (PoCL) support at extended cable lengths. Maintain flexibility and choice by way of 32-bit and 64-bit Windows® 7/8, and 10 and Linux®1, and RTX641 (RTOS) support. Capture from the next generation of higher resolution and higher speed cameras using the Camera Link HS (M-Protocol) interface. Ensure reliable delivery to host memory by way of PCIe® 2.0 x8 host interface and ample on-board buffering. Maximize PC compatibility and minimize slot usage through a half-length design with video input and auxiliary I/Os on the same bracket. Offload host processing with on-board Bayer interpolation, color space conversion and look up tables. Simplify application development using the Matrox Imaging Library (MIL) toolkit on 64-bit Windows® 7/8, and 10, Linux®1 and RTX641 (RTOS). 1 Good for a single camera application. Multi-camera applications may require auxiliary I/Os located on additional brackets.